New and Now Spiral Bound! 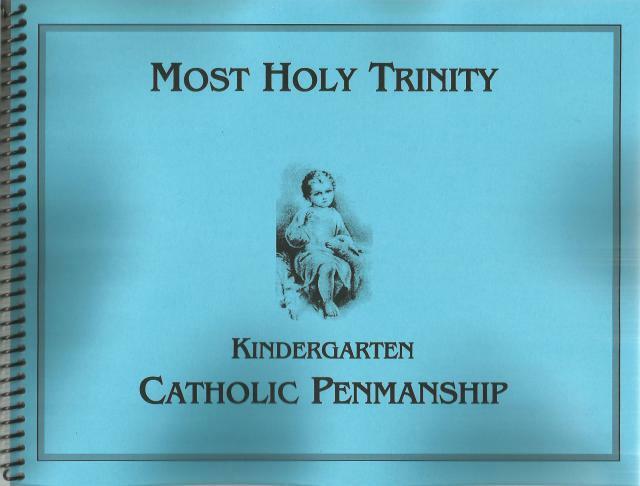 ; Keller Books and Most Holy Trinity is delighted to make available to Catholic schools and homeschoolers alike a Catholic penmanship series. Now traditional Catholics have the means to provide their children with a handwriting series that has a truly Catholic foundation. The penmanship series covers kindergarten through grade six. Each grade level has a Catholic emphasis using words and sentences that pertain to the Faith. The pupil cannot walk away from the year's work without becoming more knowledgeable about the Catholic faith. The Palmer Method of handwriting has been chosen for our Catholic Penmanship because it is the more traditional approach to writing.